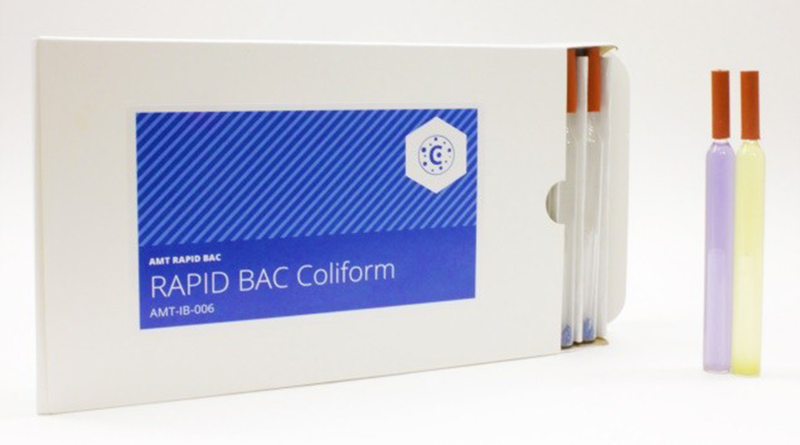 AMT Rapid Bac Coliform ampoule tests provide fast and accurate diagnostics of total coliform levels in liquid samples, including natural water, industrial water, potable water and liquid food products. 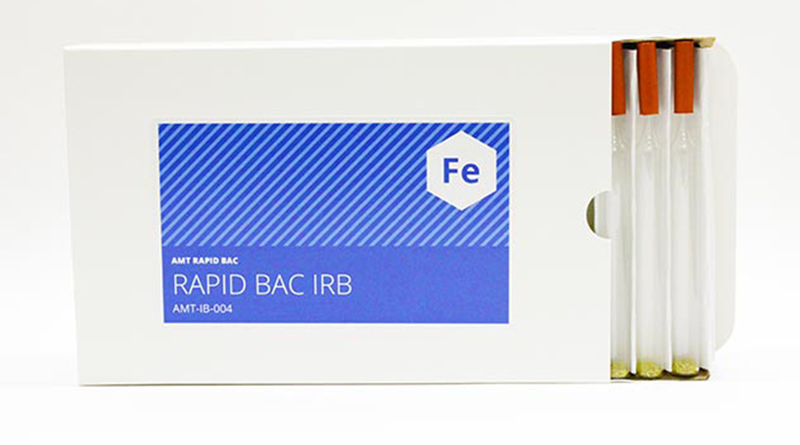 Diagnostic reagents are preserved in a self-filling vacuum ampoule with extended shelf-life. Bacterial levels are represented as CFU/mL (colony formation unit per milliliter). 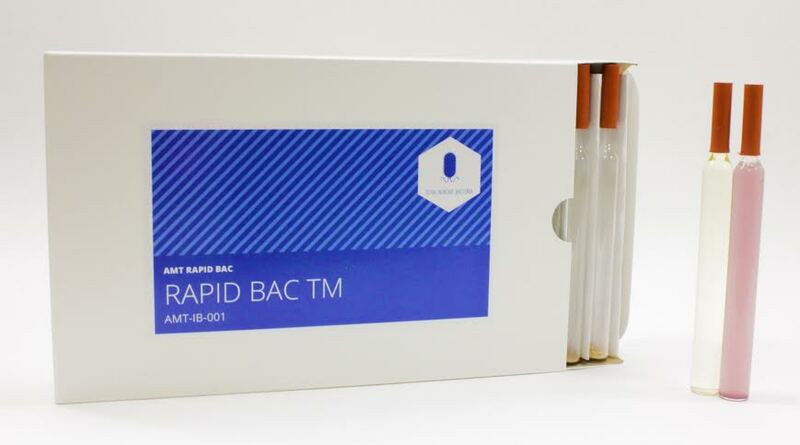 Each box includes 30 stand-alone tests. 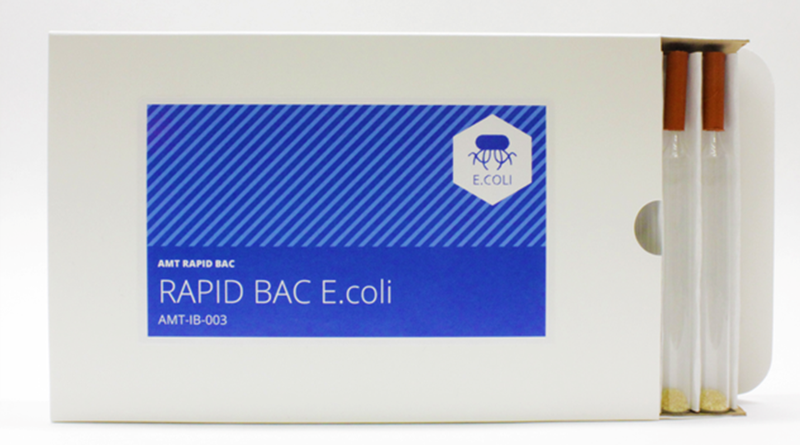 AMT RAPID BAC CF is a modification of the original bile salt broth recommended by MacConkey and contains less inhibitory Brom cresol purple (BCP) as an indicator of lactose fermentation and Oxgall to inhibit gram-positive microorganisms. The BCP Indicator along with the inverted Durham tube also helps visualize the turbidity reaction and gas production caused by the growth of Microorganisms. Positive growth of microorganisms is indicated by a turbid yellow color. When using the Multiple Tube Test, tubes that turn yellow are considered positive. When using a presence / absence method the tubes that turn yellow are positive for lactose fermentation and gas trapped in the Durham tube indicates CO2 production.